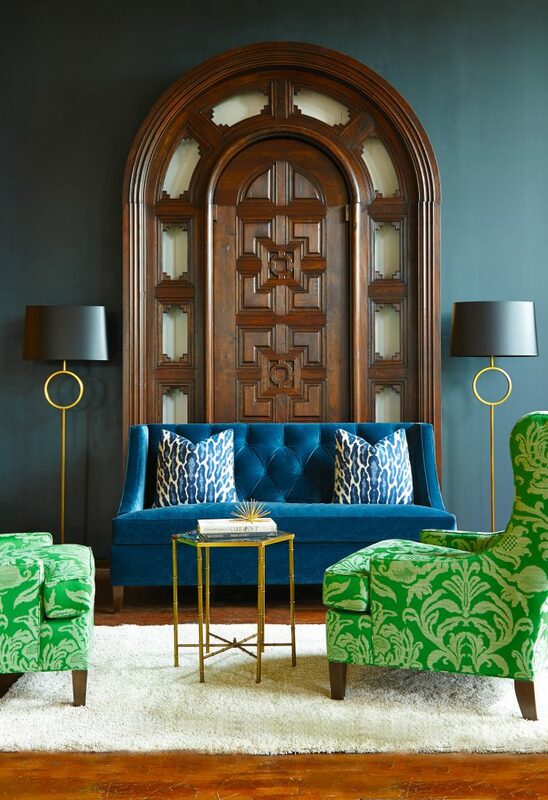 Pantone announced their color of year (Greenery) just a few months ago, and we are already seeing a huge demand for this color in all things interior. Photograph Courtesy of Huntington House. 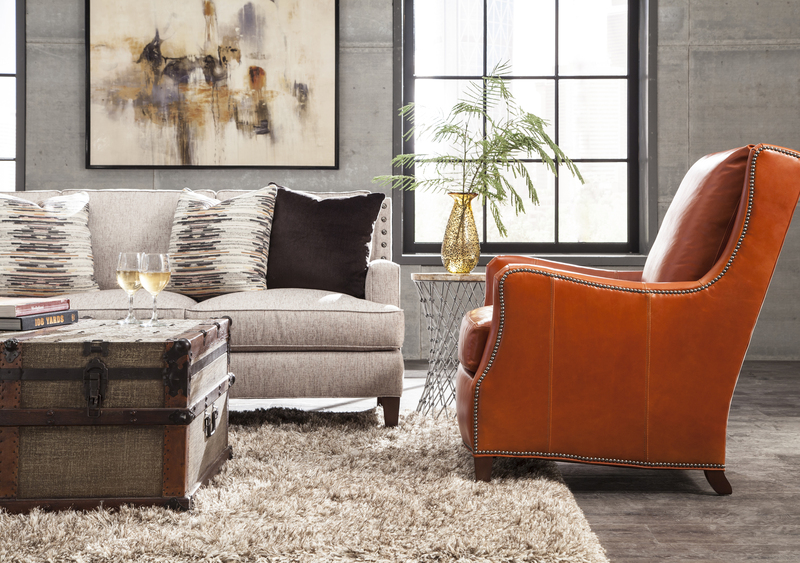 Fabric and Furniture Available at Saratoga Signature Interiors. Photograph Courtesy of © Thibaut Inc. Prints and wallpaper available at Saratoga Signature Interiors. Bright greens can add just the right amount of zest to your living space. 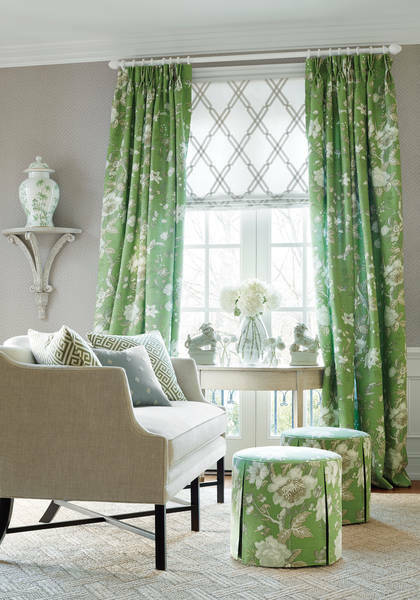 Speaking of greenery, botanical prints and patterns are all the rage this year! With life becoming more and more hectic and stressful, we have noticed a trend toward botanical prints, floral accents, rustic wood finishes and the use of terracotta tiles. This combination creates a sort of “natural getaway” right in your home. Throw in some hanging air plants and you will feel just like you are on a tropical vacation (without the tropical price tag). 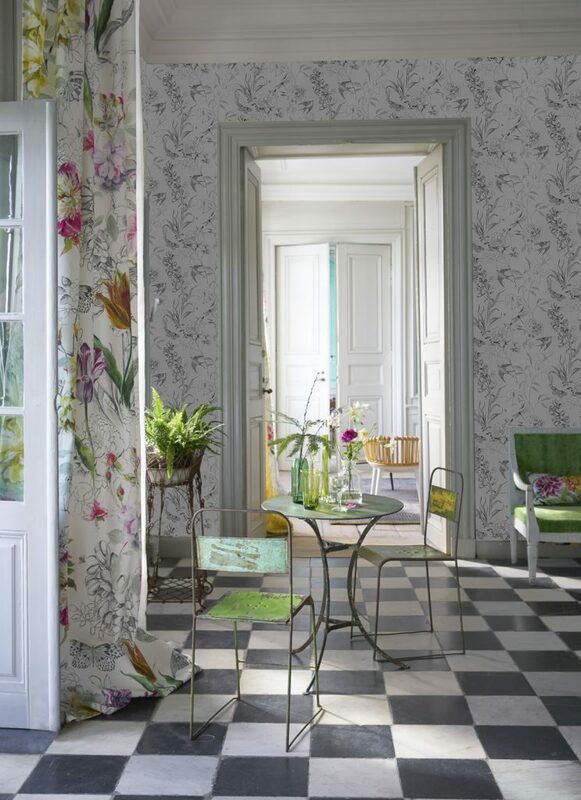 Photography Courtesy of Designers Guild. Floral Prints Available at Saratoga Signature Interiors. With all of our lives becoming more and more rooted in the tech world, it makes sense that we would start finding tech friendly furniture popping up all over the place. 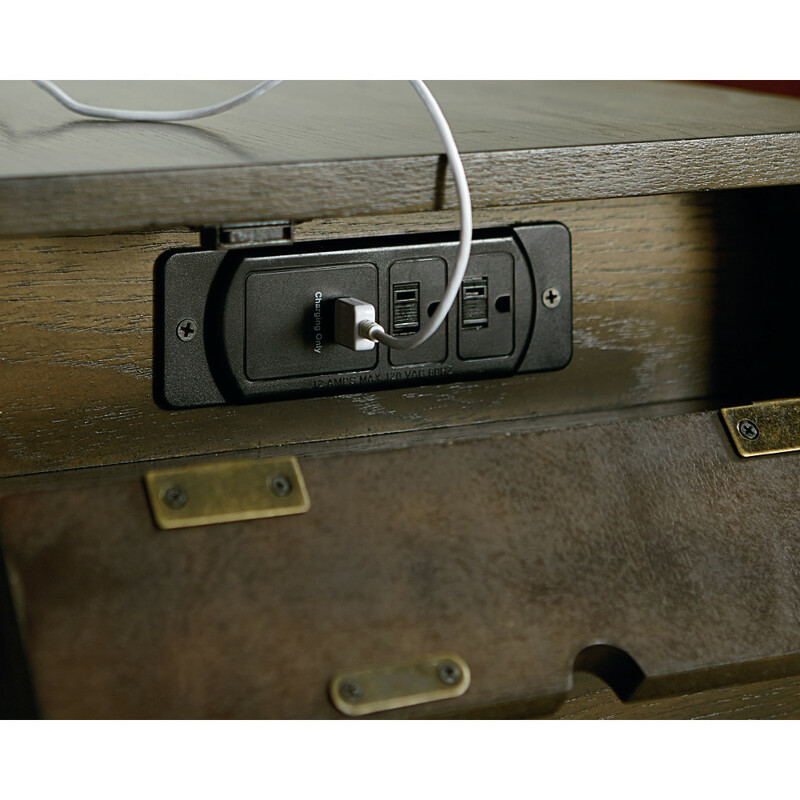 We want charging stations that don’t skimp on style, and that is exactly what we are getting. 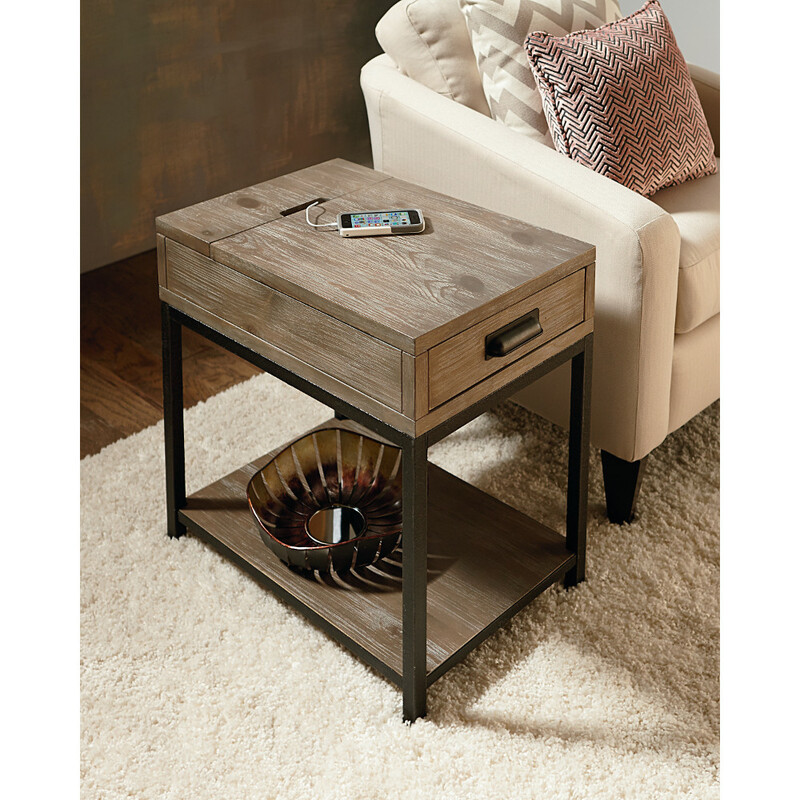 These side tables double as charging stations! Jewel Tones are Back at it Again! The royal family would totally approve of this color trend! Deep purples, royal blues, and emerald greens oh my! If it’s all about the details, than this trend is a real winner! It seems like everything is so streamlined now-a-days. Flat screened T.V.s, glossy finishes, and straight shapeless lines, has us longing for something more exciting. 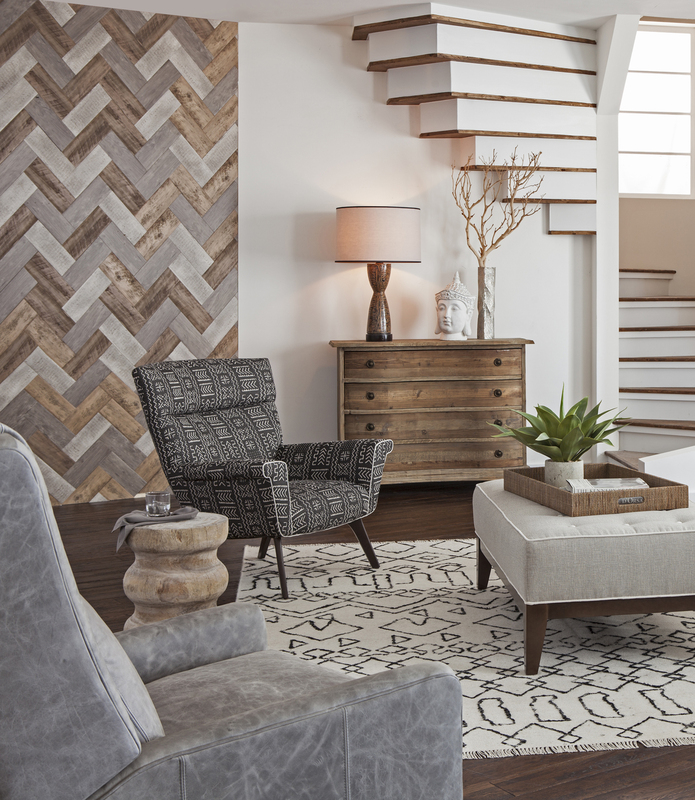 Textured accent walls, plush area rugs, rustic unfinished surfaces, and fabrics that are as exciting to touch as they are to look at! Rugs are the New Art! 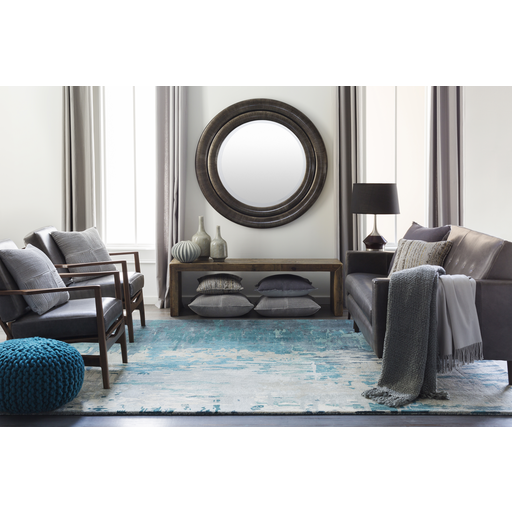 Make an artistic statement with your area rug! 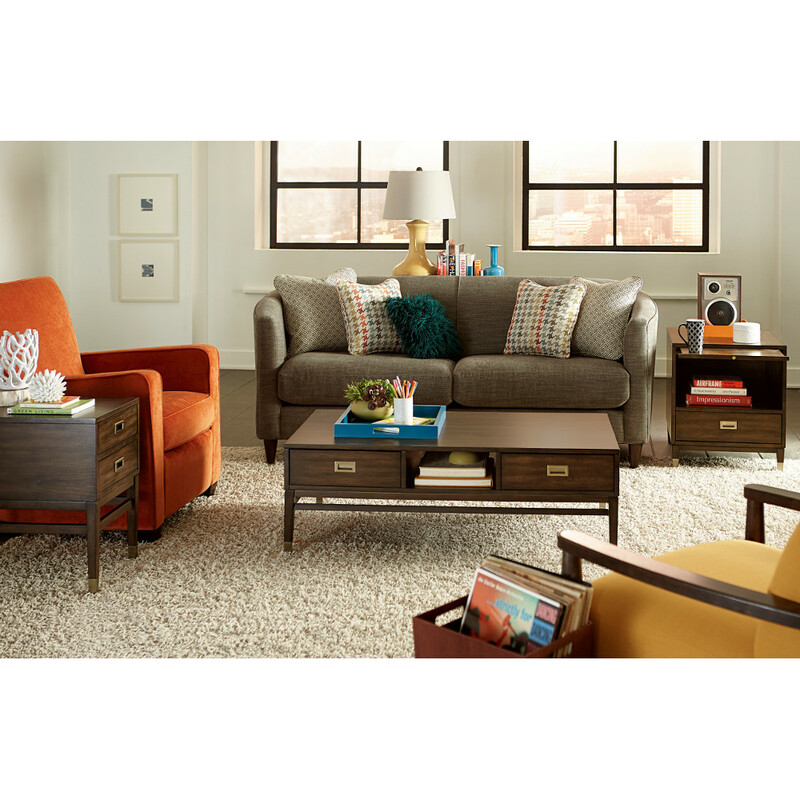 If you are interested in incorporating any of these trends into your living area we can help! Stop by our Saratoga showroom or schedule a free design consultation with one of our professional interior designers today! What do you think of these trends? Have you noticed any of them popping up in your area yet? We want to hear from you! Leave a comment for us in the box below!